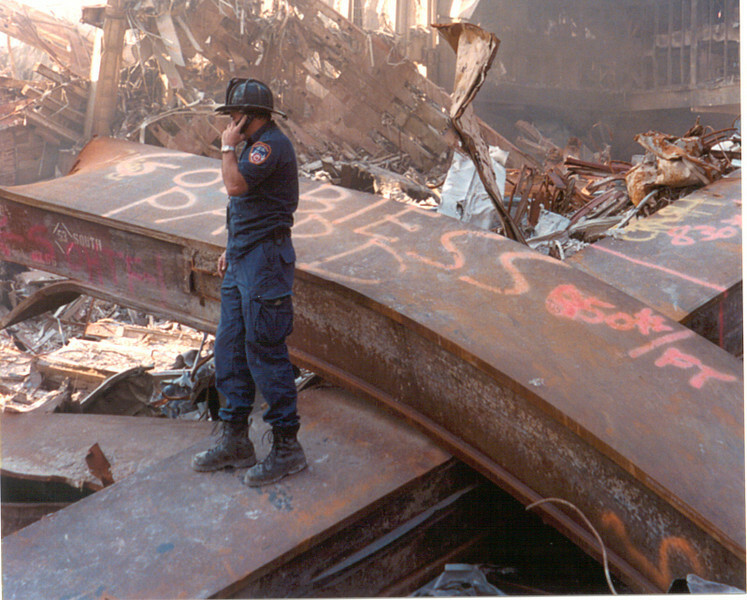 World Trade Center, New York 9-13-2001. 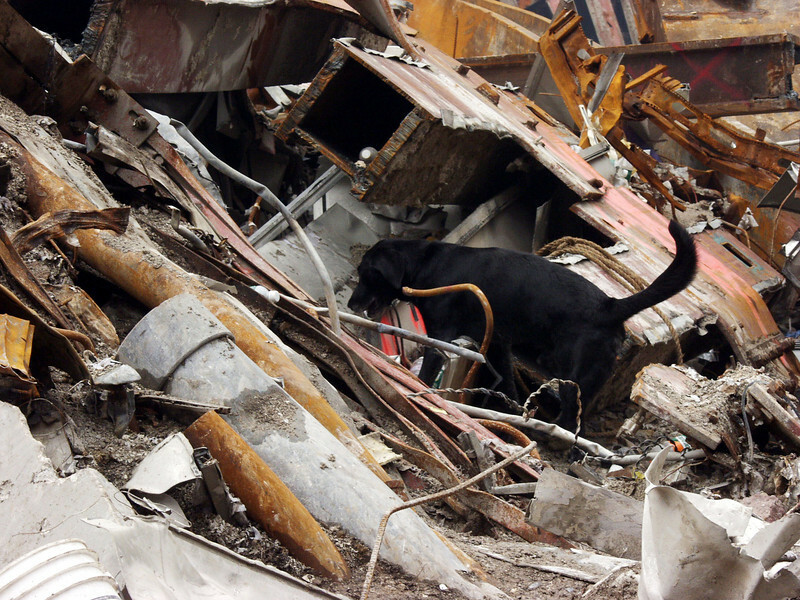 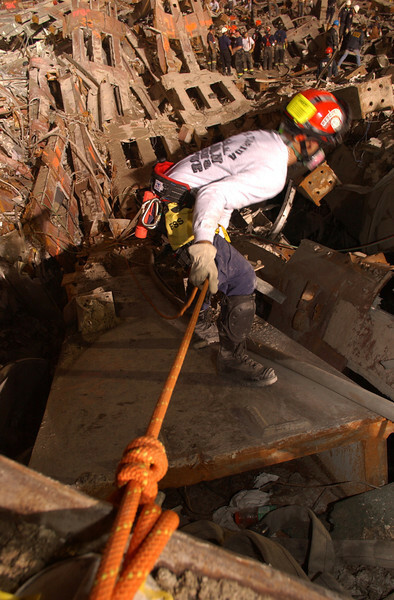 Urban Search and Rescue specialists. 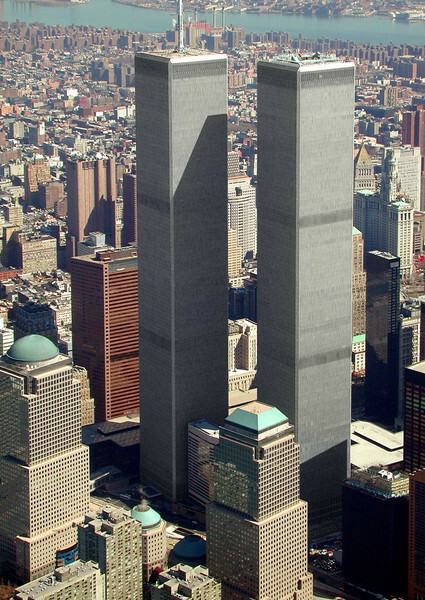 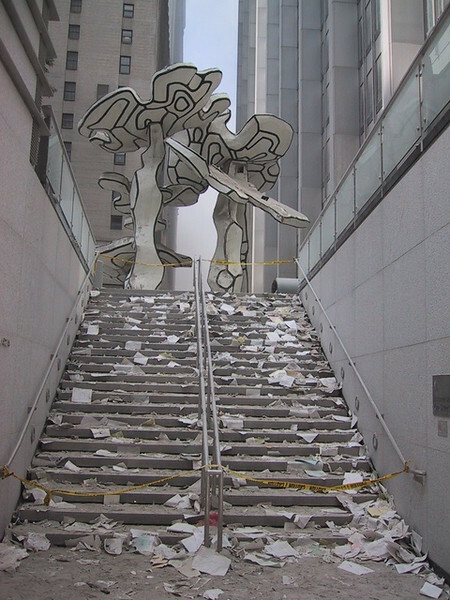 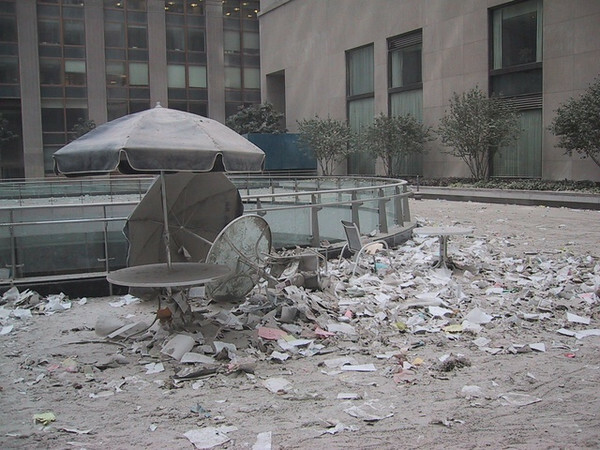 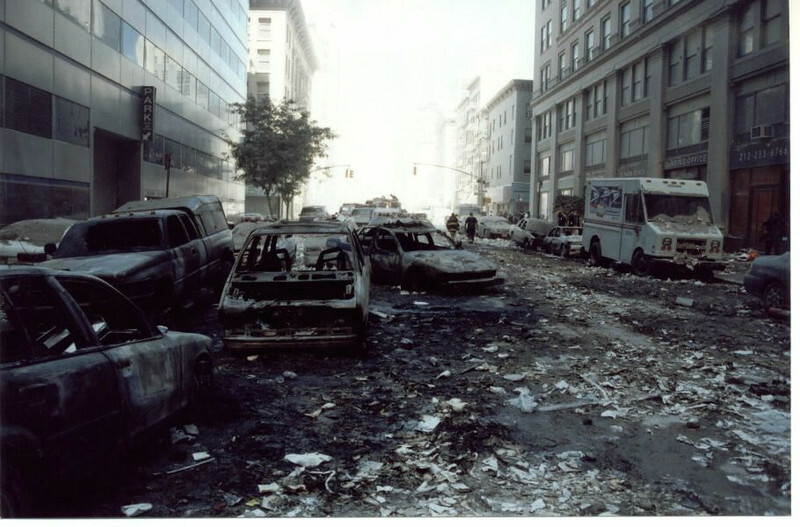 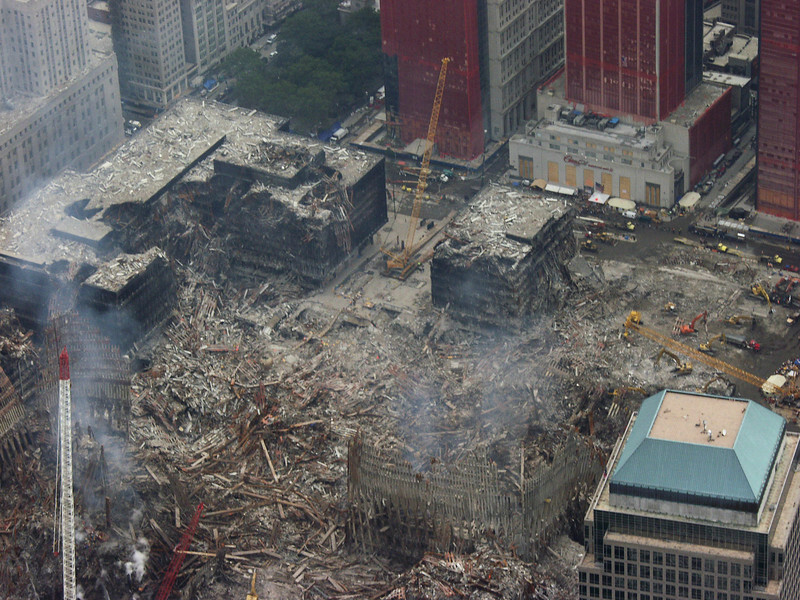 World Trade Center, New York 9-23-2001. 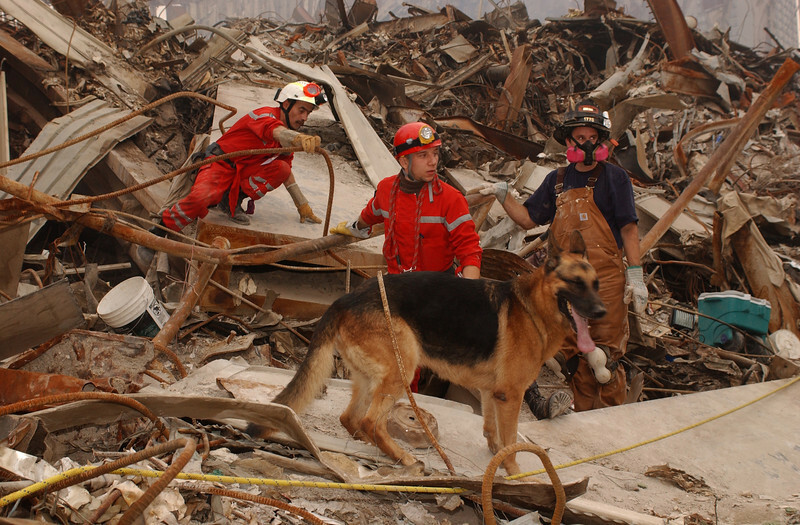 French Urban Search and Rescue team. 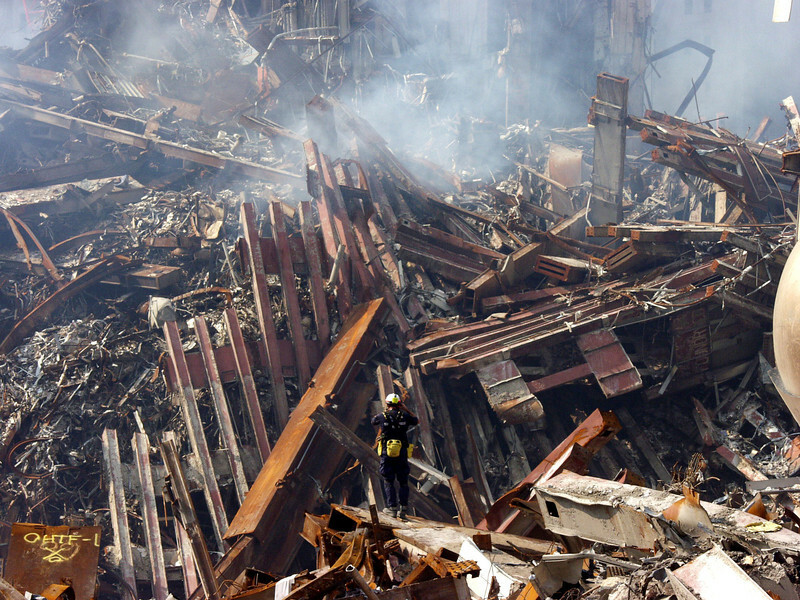 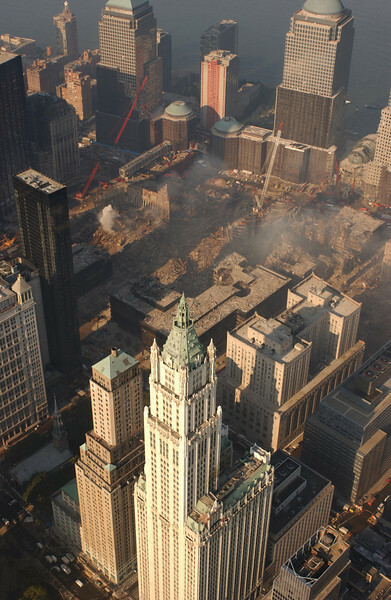 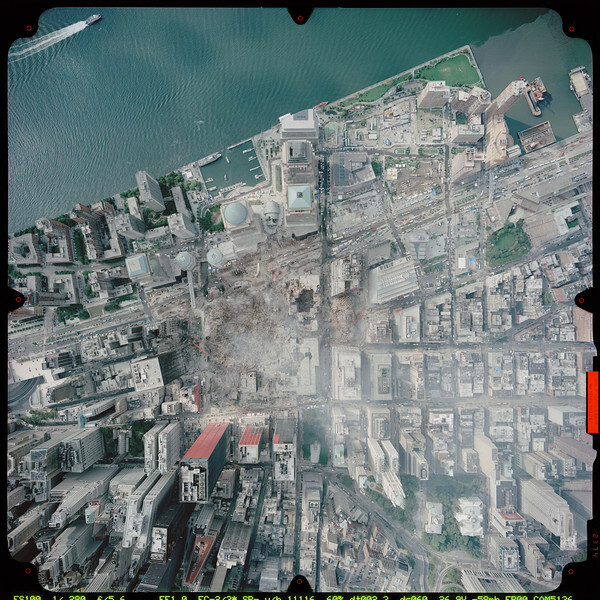 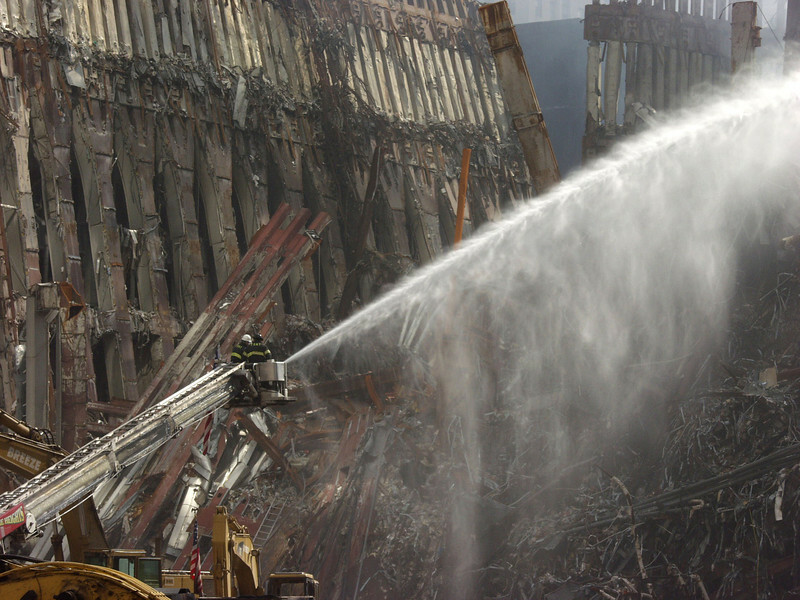 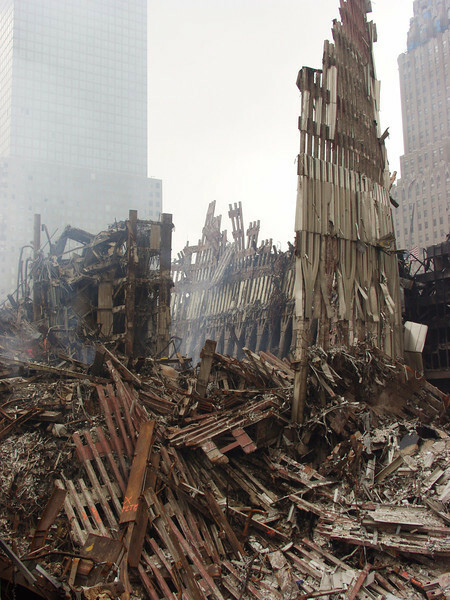 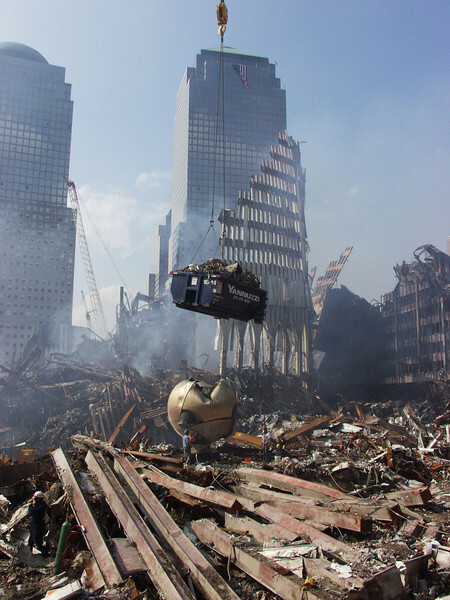 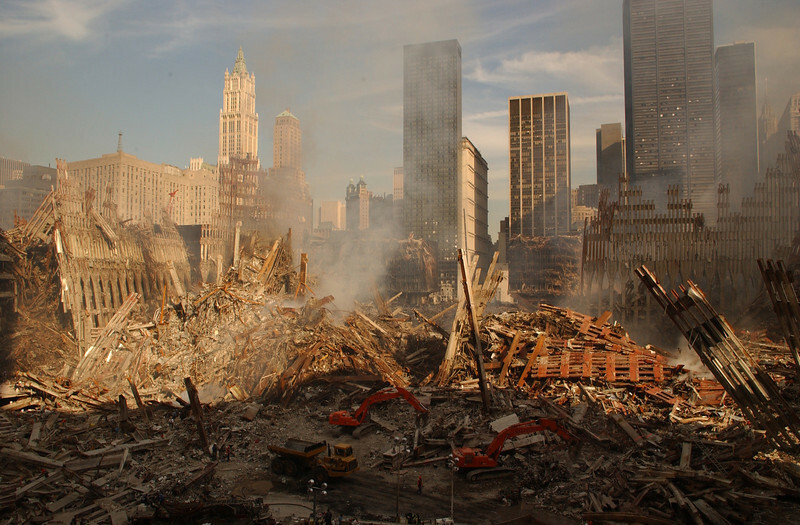 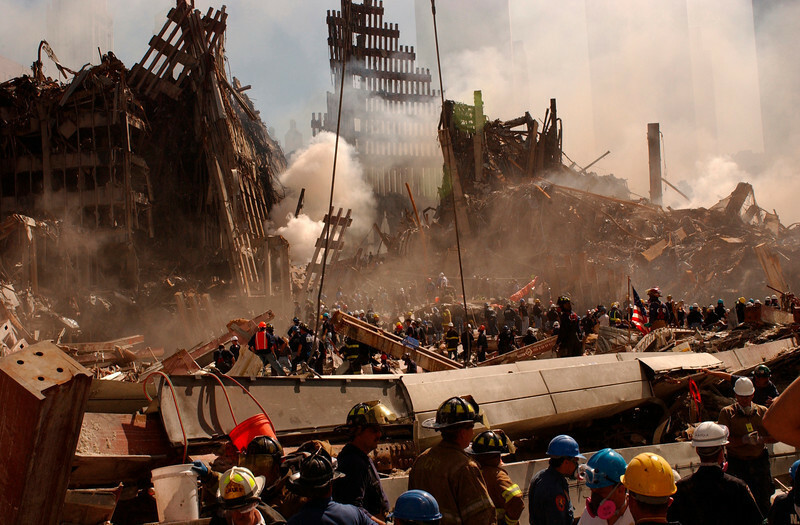 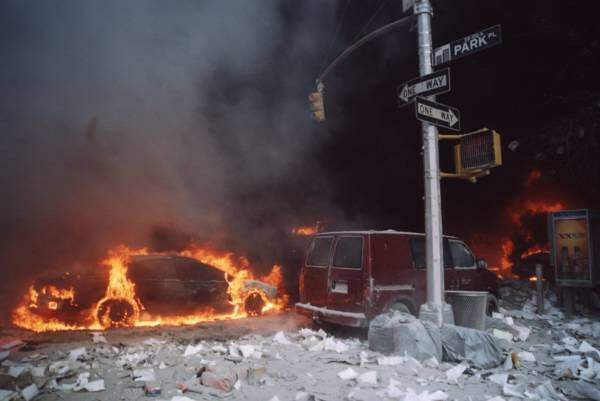 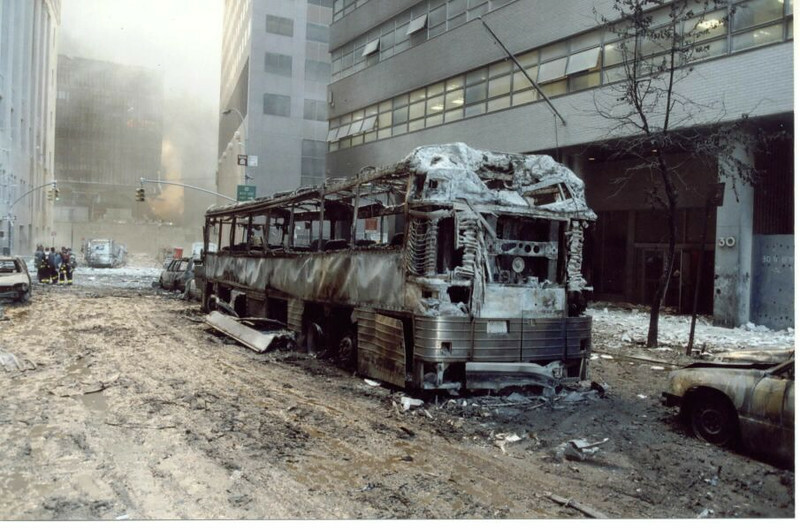 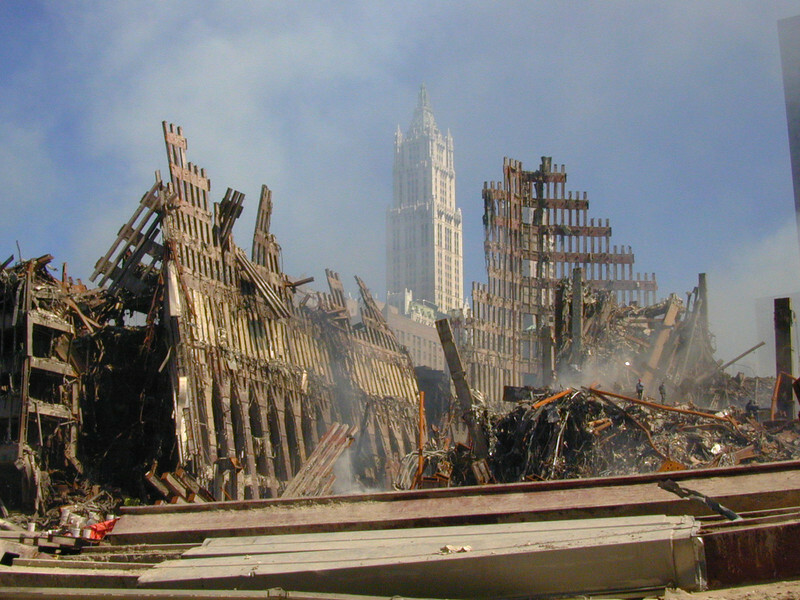 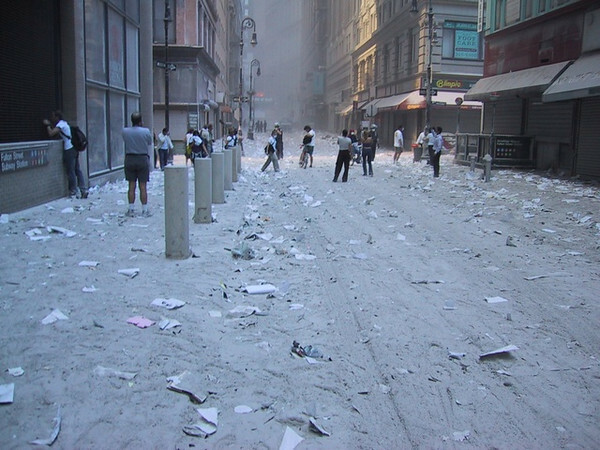 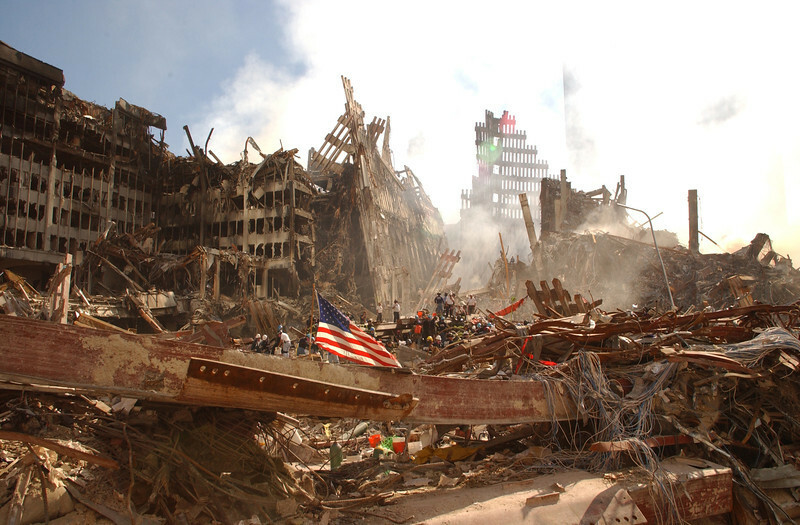 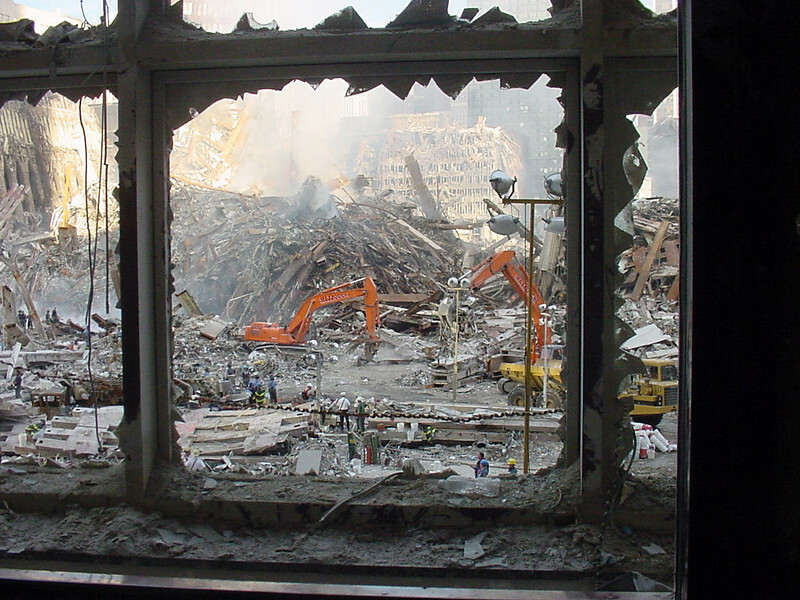 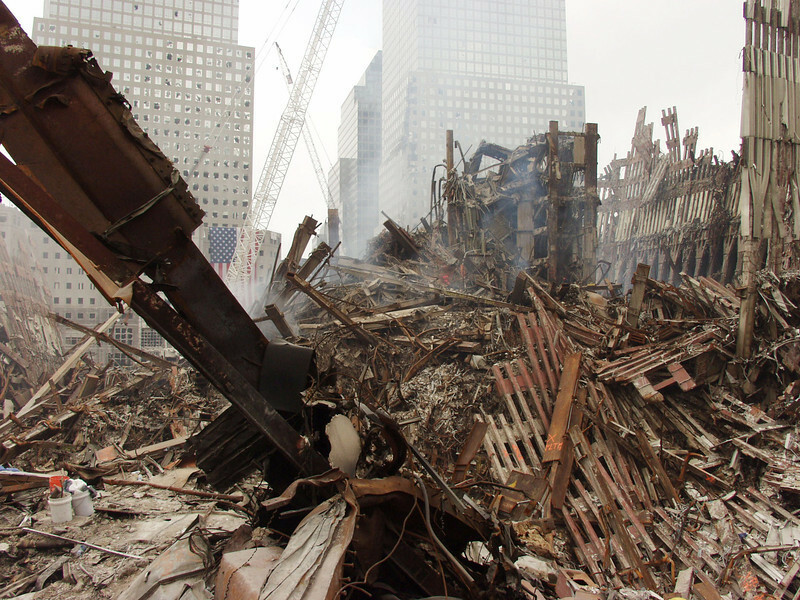 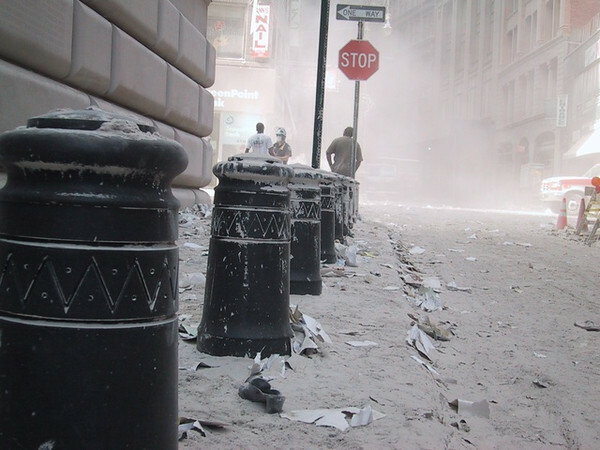 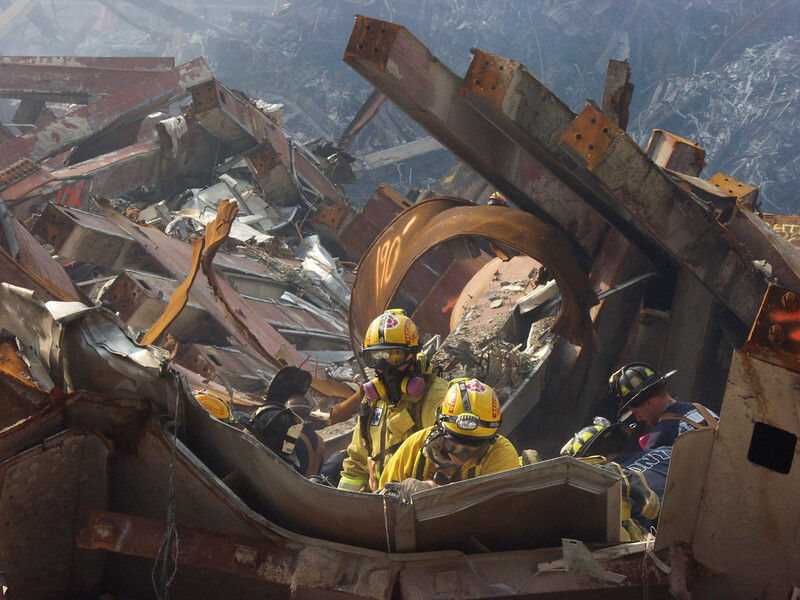 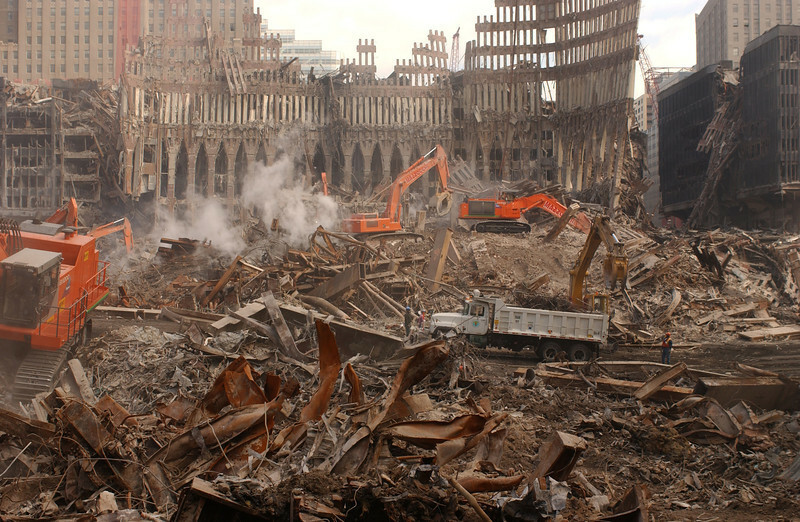 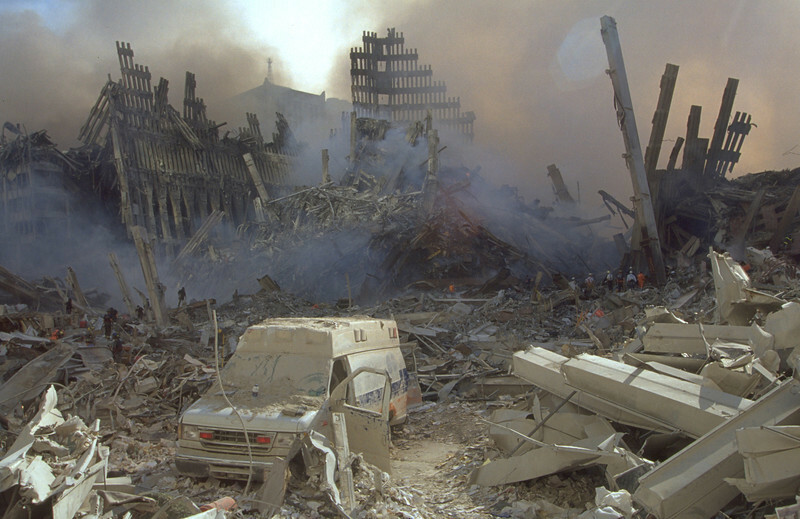 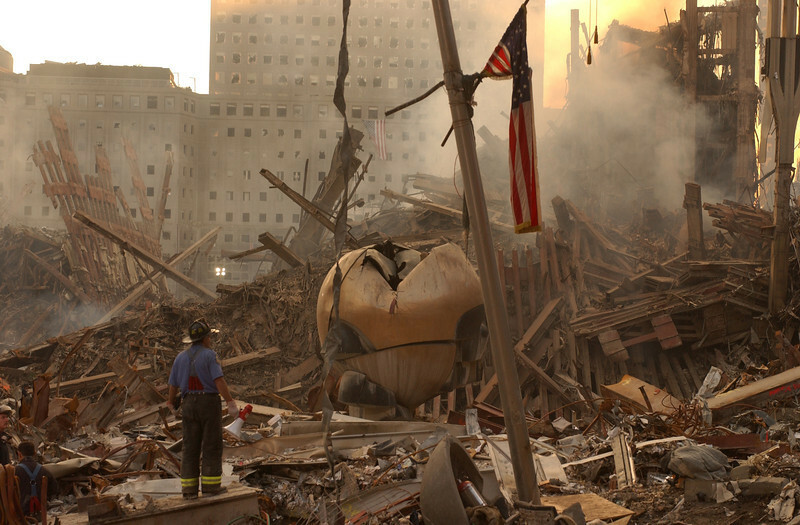 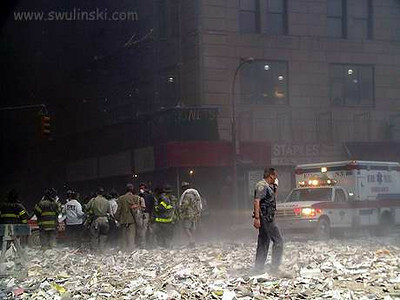 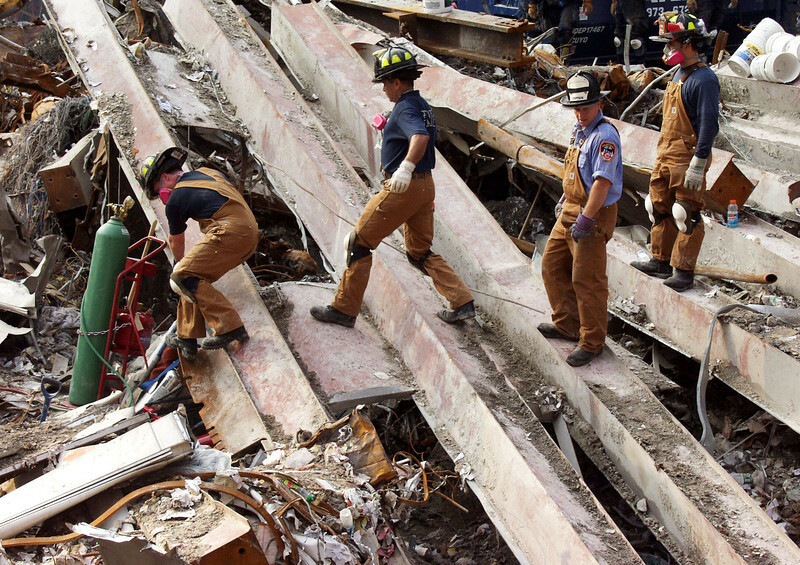 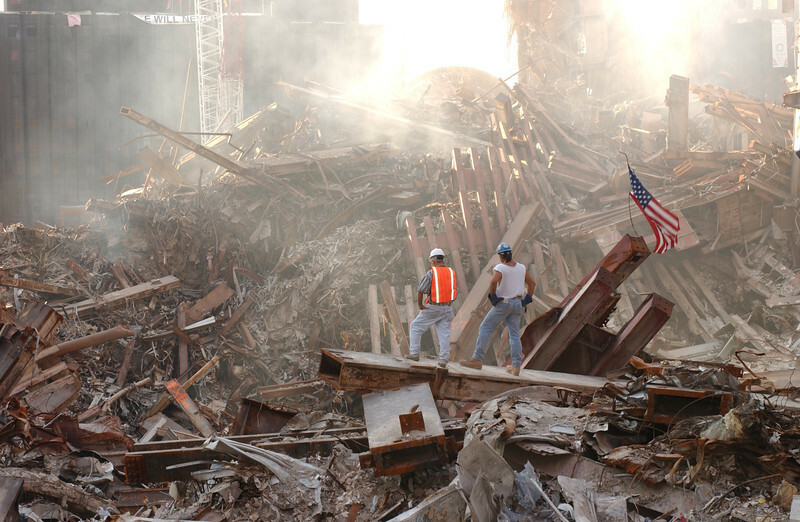 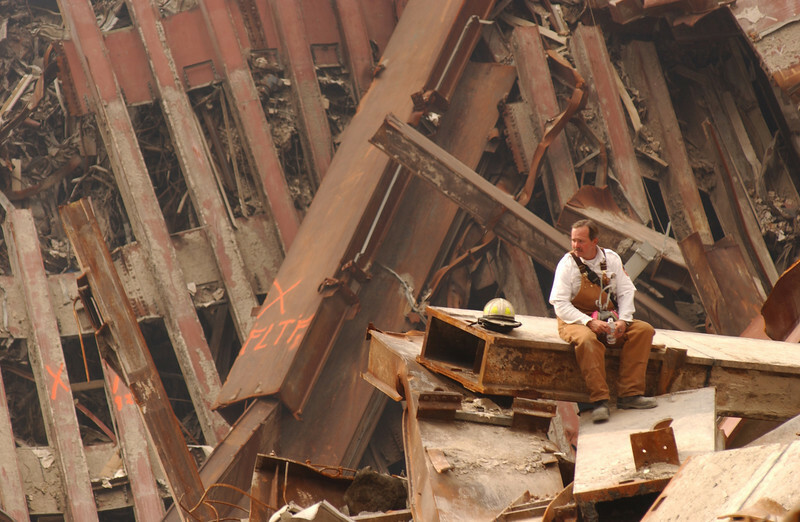 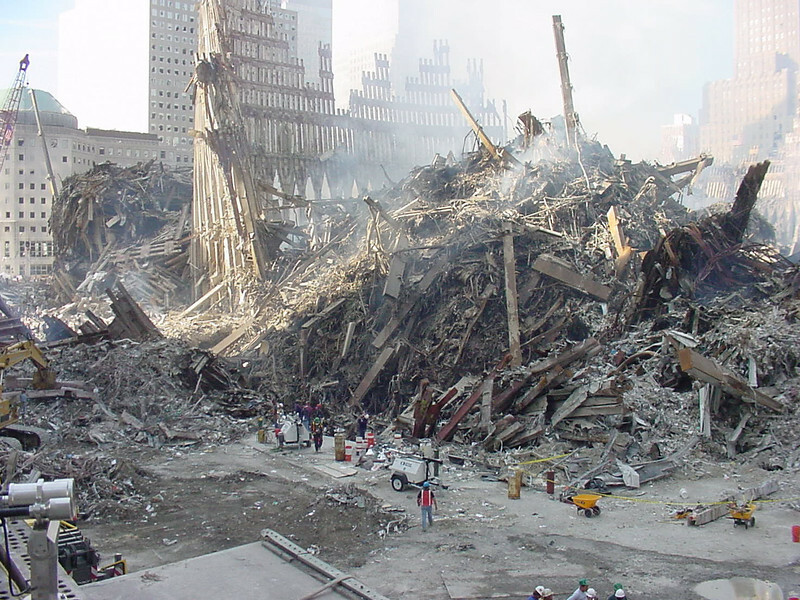 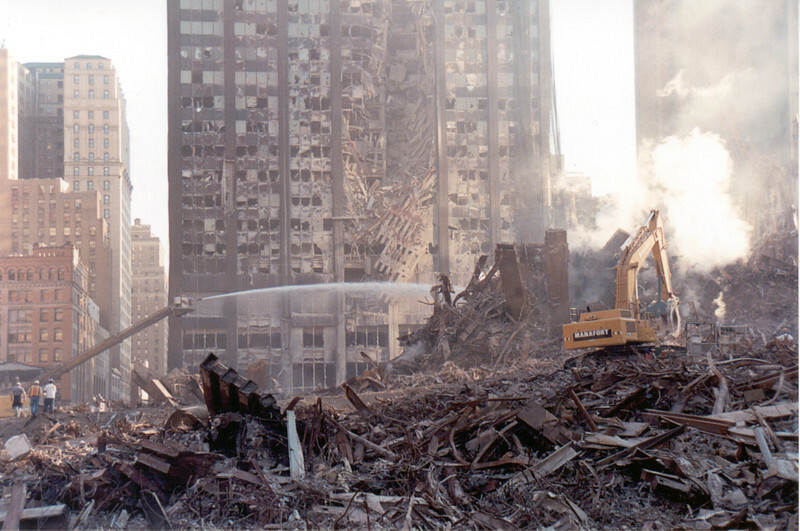 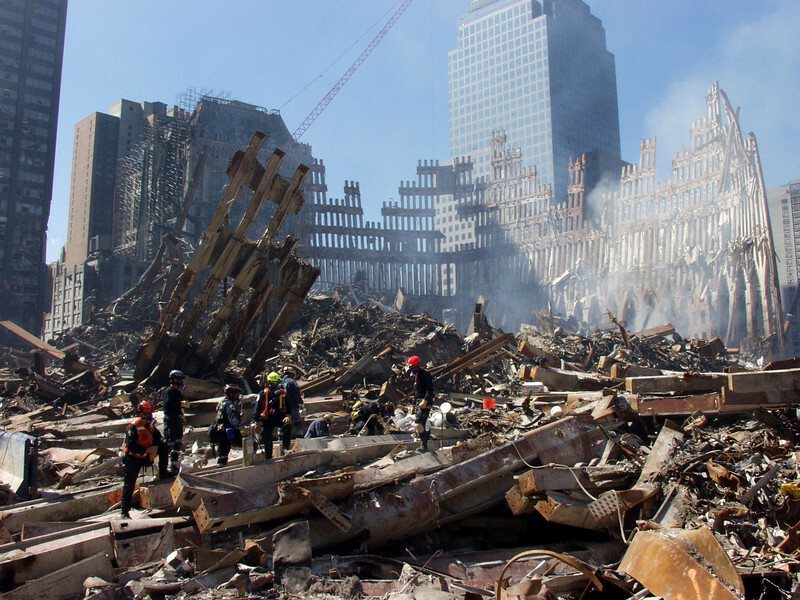 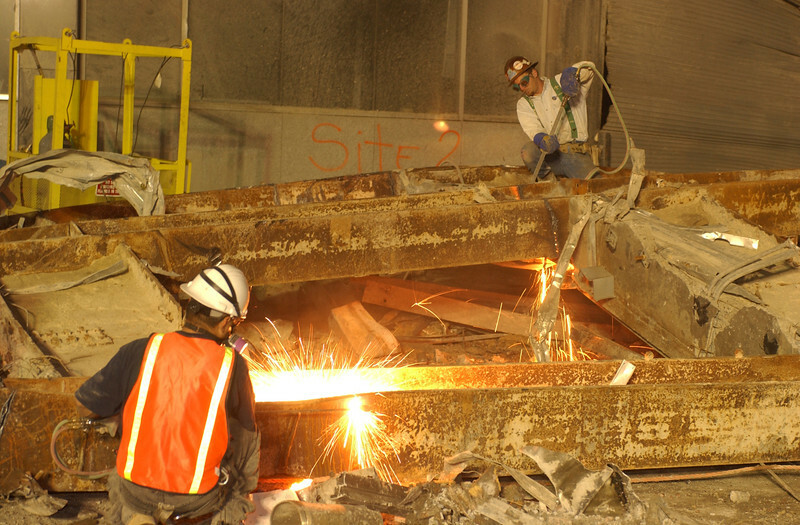 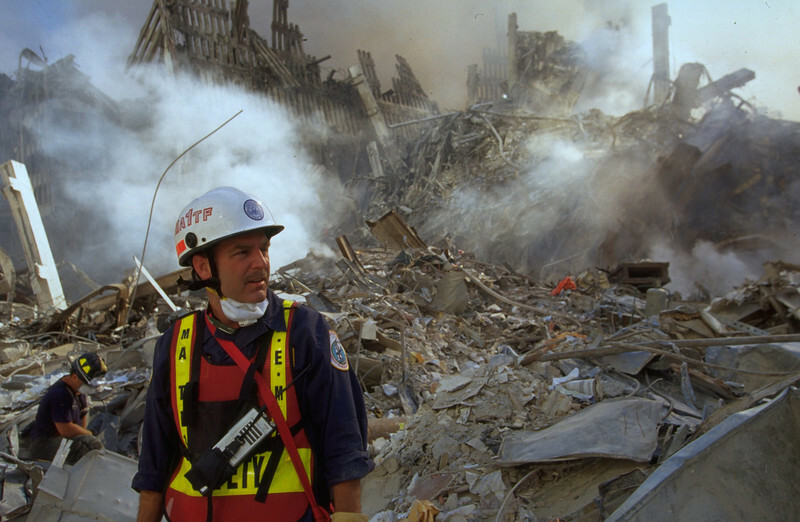 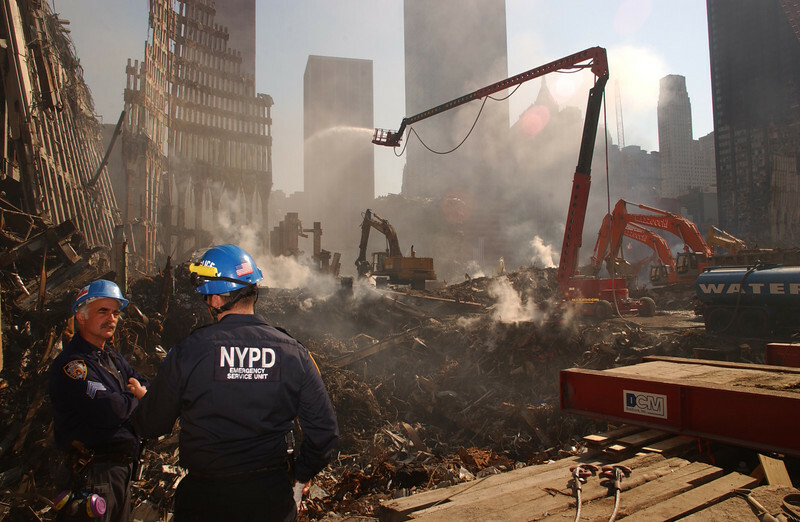 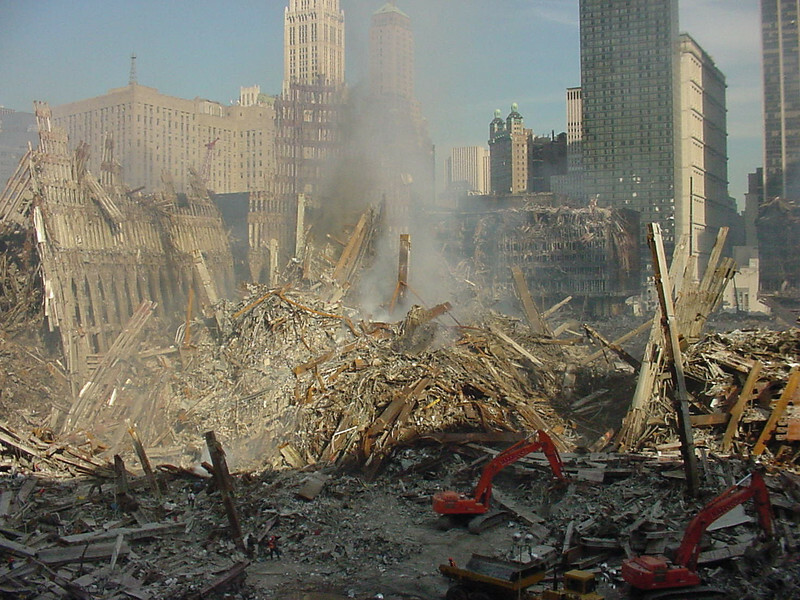 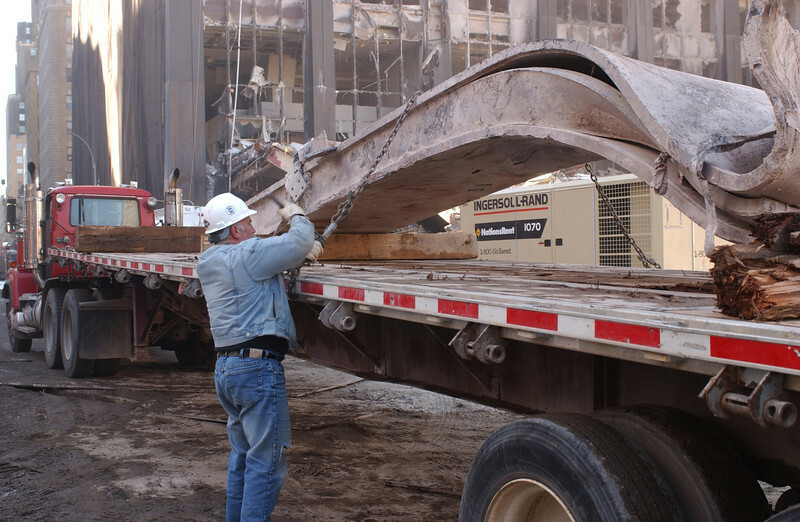 FDNY and NYPD SEU work on ground zero. 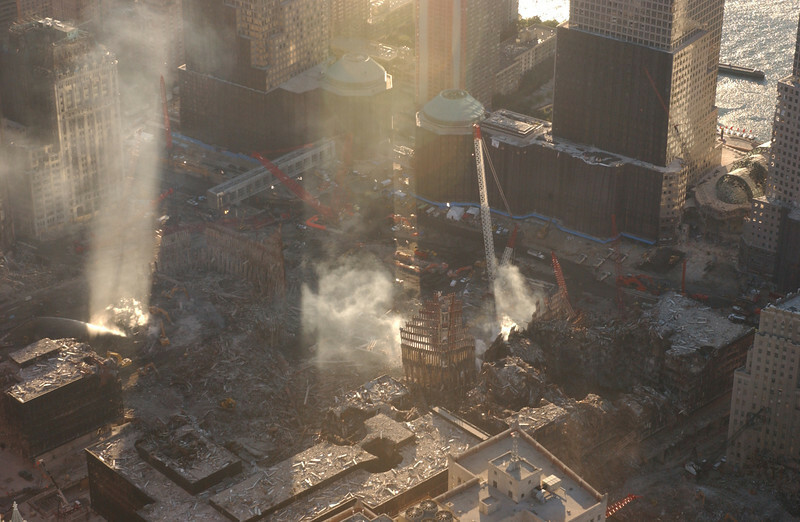 High resolution, Note the structural beams being loaded on waiting barges, upper right. 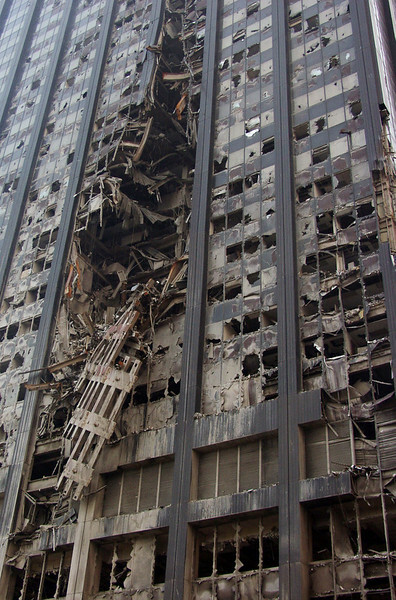 Broken windows to the west, on buildings hundreds of feet away. 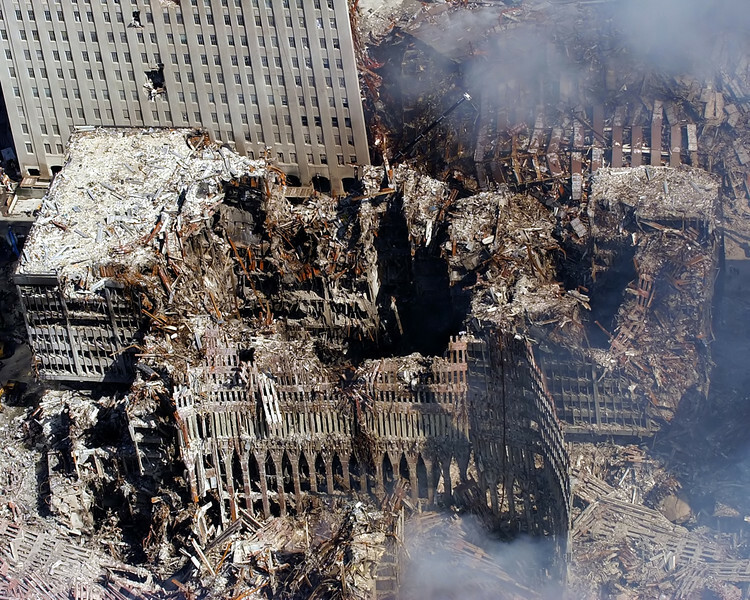 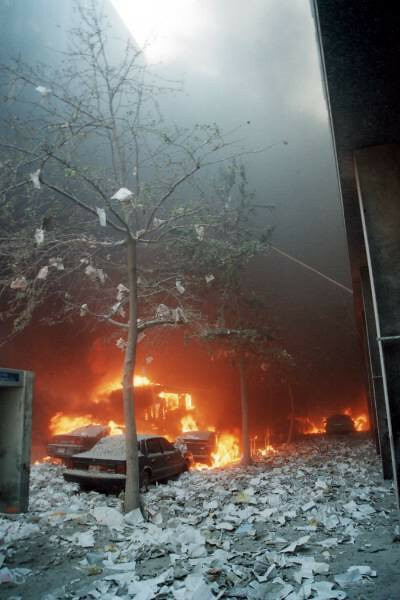 The thorough level of destruction these buildings underwent is directly analogous to the energy it took to convert them from intact structures into what remained of them afterward.